Like Firefox 14 and Mobile Safari, Google is taking Chrome - their popular web browser, the SSL route by securing searches done within Chrome's omnibox. 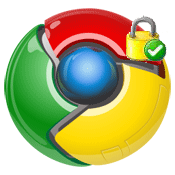 The default behavior of searches done within Chrome will become secure and done over SSL. This starts with version 25 of Chrome, which is currently a developer release. But when it hits production, all versions of Chrome will have searches done over SSL. What does that mean? It means more and more searches will be hidden to marketers. The keyword referrer will be gone from those searches as well. Clearly, more and more searches are going over SSL and at some point, some believe it may hit 100% of search queries reported in Google Analytics. That being said marketers are not happy and this trends seems to have no end.